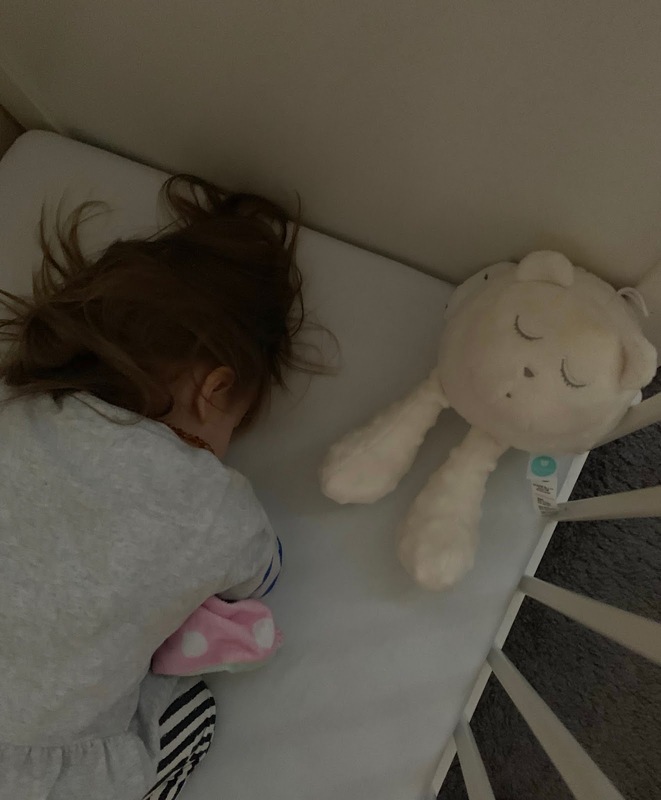 Sleep is so important and if I’m completely honest broken sleep is what I find the hardest about being a mum. I love my sleep and find it hard when the kids are awake for long periods during the night or up every hour. We try our best to ensure a good nights sleep every single night but of course that isn’t always possible. One of the things we do is use white noise for Harleigh. She has just turned two but I still find it helps her a lot. Over the last few weeks we’ve tried out My Hummy. 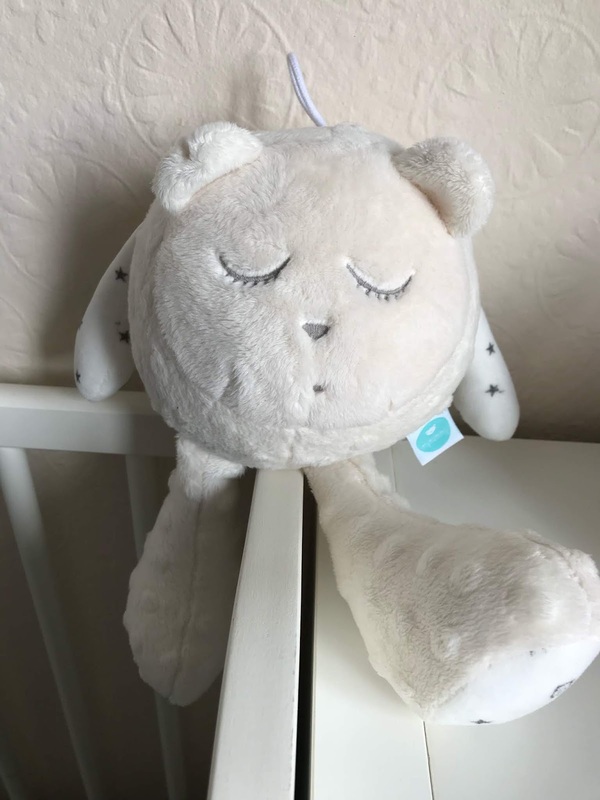 My Hummy is a white noise bear that has a Humming Heart inside. There are five types of white noise amniotic fluid with heartbeat, rainfall, sea waves, hairdryer and a vacuum cleaner. 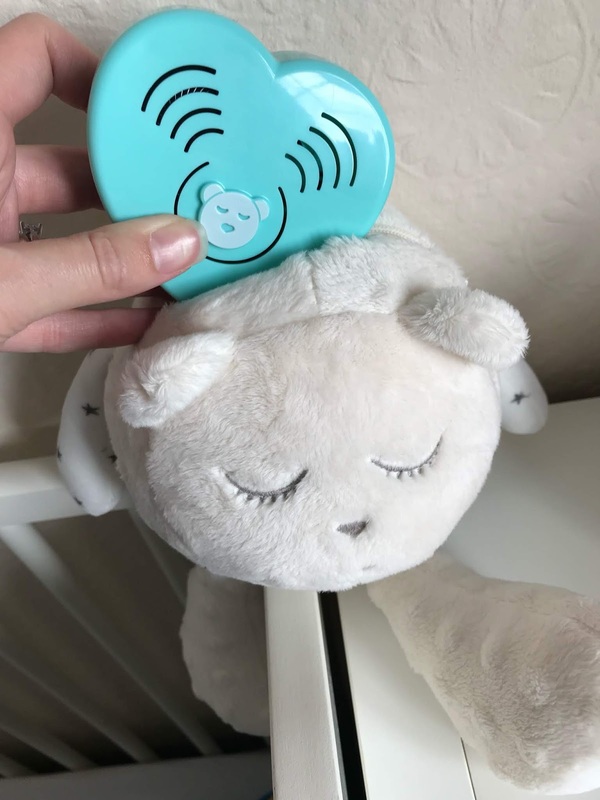 The sound gently fades away after 60 minutes but activates again if baby starts to stir using the sleep sensor. There is also a Non-stop mode for an uninterrupted night's sleep and volume control. On some models you can also pair with your phone via Bluetooth and once you’ve downloaded the app you can control the bear from your phone which is great. Pairing the bear and your phone is easy. Click the heart three times and it connects. You can control volume and even change the sound. You can also set an alarm mode that will alert you if baby is making a noise. I will admit that for me the best feature is the fact that i can control it from my phone. I just love that option and it comes in really handy. Overall we love the My Hummy. It really helps Harleigh to fall asleep and stay asleep. During naptime I use it during the whole time and at bedtime it goes off after 2 hours, she is usually in a pretty deep sleep then. I also like the fact that the volume can change, I tried out a few different volumes when it arrived and Harleigh seems to really like it on 14 so we keep it on that. It does go through batteries quite quickly but it gets used for 4 hours a day.